Summer is single-handedly the most popular season for Summer weddings. Long days, sun soaked sky, it’s no surprise this is most people’s dream wedding season. 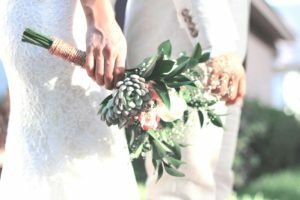 But with all the great that summer brings, there’s still a few things to keep in mind for planning your perfect summer weddings. Here are five do’s and don’ts for planning you’re perfect, beautiful summer wedding. Mid-day is usually when the sun is at its peak, meaning it’s also the hottest time of the day. The ideal time for summer weddings is late afternoon to early evening. 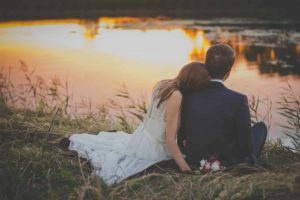 It’s best to schedule the time of your wedding party for sunset, providing the sun isn’t setting too late on your wedding day. It’s best to then plan the rest of your summer wedding around the timing of the sunset. This will also make for ideal lighting for your wedding photos. Summer is a very busy time for families with kids and those who have built-up vacation time. Just as you dream of a summer wedding. People dream of summer vacations. So it’s very important you don’t forget the save-the-dates. You want your day to be as special as possible, this means sharing it with your loved ones. But in order to share, they need to be notified well in advance of your special date. On your wedding day you want to feel comfortable, confident, and beautiful. You do not want to feel hot and sticky. For brides, choosing a wedding dress of light fabric that breathes is a perfect choice. You could also opt for a shorter skirt if you’re feeling more modern. However, if you can’t resist that traditional gown, having a second dress to wear for after you say your I do’s is a great option. For the groom, having a lighter suit in both weight and tone is a great way to beat the heat. Heavy food and summer heat don’t mix. It’s best to stick to a seasonal menu that includes fresh produce and grilled entrées. It’s also important to remember to keep the food out of the sun. But along with the food, also comes beverages. In the heat of the summer it’s best to have a wide range of drinks to keep you and your guest hydrated and cool. We wait all winter long for the nice warm days of summer to come. But in Oklahoma, it gets pretty hot. So it’s important to remember, when planning your beautiful summer wedding day, to provide heat relief for you and your guests. Spaces such as air-conditioned buildings or shade under trees, tents, or outdoor structures will go a long way. You may also want to consider having other forms of cooling available. Whether those be buckets with cold water bottles, small hand fans, or even cold hand towels passed out before the ceremony starts. While summer is beautiful, it’s also the time that the flying creatures come out. Oh, and sunburns. Prior to getting ready for your wedding day, it’s important to remember to apply at least some sunscreen to any of your expose skin. For the bride, wearing a foundation or powder that contains SPF is a great alternative to sunscreen. For guests, it would be great to provide the small bottles of sunscreen at the entrance of your wedding venue. As for the bugs, having bug spray is always an option but doesn’t really add to the atmosphere. 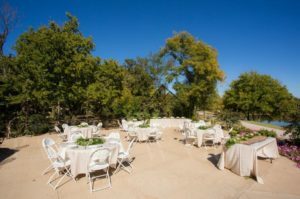 Citronella candles can be placed both on the tables during the party and by the aisles during your ceremony. Remember these five do’s and don’ts of summer weddings and you will have a truly beautiful summer wedding day.